Major League Soccer (MLS) will imminently become one of the world’s top 10 soccer leagues by average revenue per team, according to an exclusive new Sportcal report. MLS teams were collectively losing $100m a year as recently as four years ago and remained in the red in 2015. 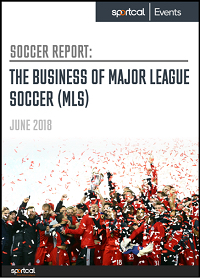 But data obtained by Sportcal and detailed in ‘The Business of MLS’ (cover below, right), published on 12 June 2018, indicates the league has moved into profitability. 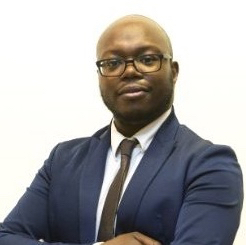 Team revenues now average around $32m and rising. Crucially this includes a share of the annual surplus from the central funds of the now-profitable MLS – with substantial increases in the pipeline. The ‘Big 5’ European top divisions stand clear as the world’s richest by average revenue per club, with gross revenues respectively in England, Germany, Spain, Italy and France per club of $331m, $194m, $179m, $130m and $103m. (The data is from the most recently completed seasons for which full accounts are available, so financial year end 2017, using a Euro-dollar exchange rate of 1.2508 to 1). Brazil’s top division comes next ($73m) ahead of the Chinese Super League ($69m), Russia’s Premier League ($55m) and Turkey’s top division ($51m). The new report comes in the build-up to the FIFA decision over where to host the 2026 World Cup, with the USA and Canada (the two nations where MLS clubs operate) in a joint bid with Mexico against a bid from Morocco. Sportcal’s new research puts average team revenues in the MLS ($32m) just behind Japan’s J-League ($33m). But MLS teams have already risen above that and joined the top 10 when their share of ‘expansion fees’ are included in their revenue. Expansion fees are paid by new clubs joining MLS. The Sportcal analysis excludes them because expansion fee revenue is finite and will continue only until the 23-team league reaches 28 teams. But over the next five years the teams can expect to share at least $800m in expansion fees, or a rough average of around $6.4m per team per year. MLS is already the No6 most successful league in the world both in terms of average attendance per match and combined team revenue from shirt sponsorship deals. MLS also has significant revenue hikes upcoming, not least a league kit supply deal from Adidas about to jump from $25m a year to $117m a year, increasing income per club from that contract alone from around $1m per club per year closer to $5m per club per year. MLS TV contracts, domestically and internationally are also expected to climb significantly as the come up for renewal. MLS is not obliged to make any financial data public and has never done so. However the Sportcal report reveals that the organisation’s gross central revenue for 2017 – the last completed season – was around $364m and its clubs are now earning shares of annual profits, as well as shares of growing ‘expansion fees’. The findings strengthen MLS’s status as one of the hottest properties in world soccer and justifies the appetite of investors that pay growing fees to join the competition and expand it to new territories. In 2017, an investor group led by billionaire businessman John Ingram agreed to pay a further $150 million to bring a new franchise of the US and Canada’s top flight to Nashville, Tennessee. This expansion strategy has helped MLS teams generated estimated revenues ranging from just above $20m to more than $60m in 2017, with the average revenue close to $32m per team. This is made up of a low single-digit sum from MLS central funds – approximately $3.57m per team – with the other key streams being match-day income, sponsorship income and media income. With more than $103 million, media revenues represented the largest portion of the overall revenues that MLS brought in last year, according to Sportcal’s exclusive research. The sale of central marketing rights, totalling around $75 million, also represented a sizeable portion of MLS revenue. The eight-year $200-million ($25-million-a-year) contract with German sportswear manufacturer adidas for the current MLS apparel deal accounted for one third of the total value of MLS sponsorship income in 2017. Other sources of revenue, including merchandising, a portion of ticketing, transfer and proceeds from SUM, MLS’ commercial rights distribution arm, accounted for the remaining $150 million. These figures are contained in ‘The Business of MLS’, the inaugural issue of the new ‘Soccer Reports’ series, a collection of commercial studies on soccer published by Sportcal. The report also includes analysis of MLS’ match day and attendance, media, sponsorship, CSR and sporting performances and a wealth of exclusive club-by-club information on specific revenue streams for each MLS teams for the 2017 season. In addition, it features historical analysis of MLS and cross-competition comparisons of its results against some of the largest soccer properties worldwide – including Europe’s “Big Five” leagues, Mexico’s Liga MX, Brazil’s Serie A, the Russian Football Championship and the Chinese Super League. Finally, the report proposes eights scenarios for the future of MLS in the light of the upcoming decision regarding the host of the 2026 FIFA World Cup, the failure of the US men’s national team to qualify for Russia, the debate on the implementation of promotion-relegation in North American soccer and the status of the league in the international transfer market that has recently been under the spotlight following the arrival of Zlatan Ibrahimovic. For more information on how to access the “The Business of MLS” report and future issues of the Soccer Reports series, please contact clientservices@sportcal.com and / or buy the report here. Get a 10% discount by using the code MLSCODE10.